Most people think that this is a scale from masculine to feminine, but that is not how it works. At least not based on more modern theories and experiments. How it is thought to work is actually two different scales. There is masculine to not masculine and feminine to not feminine. You can be high on both (androgynous), low on both (asexual) or any which combination. There is even thought to be a different neural pathway for each and doing something to one does not necessarily affect the other. There have been several animal experiments that have led to these conclusions*. You can affect a sheep’s future masculine and feminine aspects by applying hormones during the fetus’ gestation. Now, when the masculine hormone is increased the resulting female sheep will mount other female sheep. Unless the femininity is decreased, though, they will still present themselves to be mounted. This means that they have both masculine and feminine brain patterns. Researchers discovered the two different neural pathways in a rat experiment. They implanted a tiny pellet of a type of estrogen on one side or the other of the hypothalamus. If the hormone was on the left it defeminizes and on the right is masculinized the brain. As for human examples, there are clearly not a lot. Doing this sort of experiment on a human is highly unethical, but there are examples of hormones’ effects on human fetuses. There are syndromes that result from either a lack of a hormone or the lack of receptors for it. Also, from 1947 to 1971 (when it was banned) the use of the first synthetic estrogen (diethylstilbestrol) was common. When the female infants grew up they showed more masculine behaviors and fewer female-typical behaviors (this chapter did not specify what that meant, so once I know I will post and update), but they still identified as female. There was also a higher rate of lesbianism and bisexuality in these individuals. How the hormone affected them depended a lot on when in the gestation they were exposed to it. This post focused exclusively on the effects hormones have on gender expression. I want to emphasize that there is a variety of things that can affect it. In fact, one of the most basic debates in gender studies is socialization vs. biological determinism. I believe that it is an intricate and complicated mesh of the cultural and environmental influences along with the genetic predispositions a person is born with. *It is really important to keep in mind that something happening in a non-human animal’s brain does not mean it translates to a human’s. However, it does mean that there is a strong possibility of it working in a similar way and some of the observed instances of hormone influence could be seen as support. Source: The Sexual Spectrum: Why We’re All Different – Olive Skene Johnson, Ph.D. 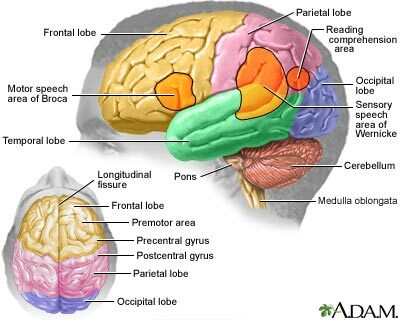 This entry was posted in Science and tagged brain, discussion, hormone, science. Bookmark the permalink. This could be the best piece I have seen!! !